Cody receives 5 star review from CelebrityCafe.com! 5.0 Stars – I Loved It! Cody Karey is not one of those overnight famous musicians . He has spent years perfecting his vocal skills, deciding what musical direction he wanted to take and figuring out what he is trying to say with his music. There has not been a time in Karey’s life when music wasn’t at the core of everything he does. At the age of 6, he had performed country songs in front of audiences in his small town of Fort St. James. In his teenage years, he started performing on stages in big cities and already had made some television appearances. Then he entered David Foster’s talent competition, reached the finals and spent seven years touring and honing his skills, till this Grammy-winning producer , songwriter and record executive has now signed him to Verve Records. You might wonder why it took him so long? “I wasn’t quite sure what he meant by that at first. So I really worked on extending my range and making my voice more powerful, but he was talking about interpretation. That time afforded me the opportunity to become a better artist and performer. As a result, I think we have a more complete album . I’m more ready now,” Karey explains. The wait is over and so worth it. Karey’s debut album is finally out and absolutely perfected, because he never left anything to chance. The cohesive and elaborate self-titled debut album features 11 tracks. From grandiose and breathtaking “You Are the Song ” to gentle “Leap of Faith,” nostalgic “I’m Coming Home,” graceful “Couldn’t Ask for More” and “Unbroken Dreams,” which are all beautiful, sentimental, piano-driven ballads with majestic violin arrangements. “If Ever I Fall” is a beautiful guitar-driven, slow-dancing ballad. 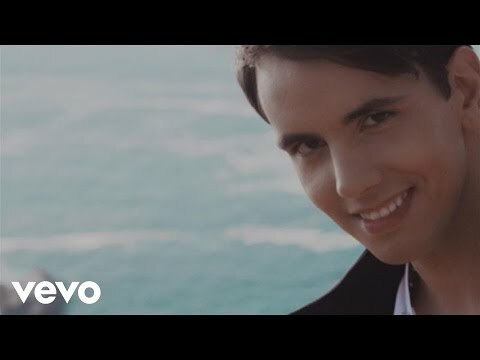 Karey also masterfully delivers emotion in other languages, with Spanish “Sentir” featuring romantic Spanish Guitars and opera-style “Tu Sei,” a piano-driven ballad where Karey’s strong tenor comes to the fore and he is reminiscent of Andrea Bocelli whom he admires so much. And finally, there’s “A Million Pieces,” a quite different track from the rest. It is an upbeat catchy ballad containing all the pop elements and dominant-drums. Overall, Cody Karey has delivered a superb debut album that he must be proud of. It is cohesive, honest, stunning and both vocally and instrumentally exquisite. There is a bright future ahead of Karey! Highly recommended! AMBITIONS: To be a top artist with a long career…and to fly airplanes! TURN-ONS: Confidence, an adventurous spirit! DREAM GIG: A headline Concert at Madison Square Garden with the New York philharmonic. “…every long lost dream led me to where you are. Others who broke my heart, they were like northern stars pointing me on my my way into your loving arms. This much I know is true; god blessed the broken road that led me straight to you”. – God Blessed The Broken Road, Lonestar. Cody Karey featured on Just Jared! 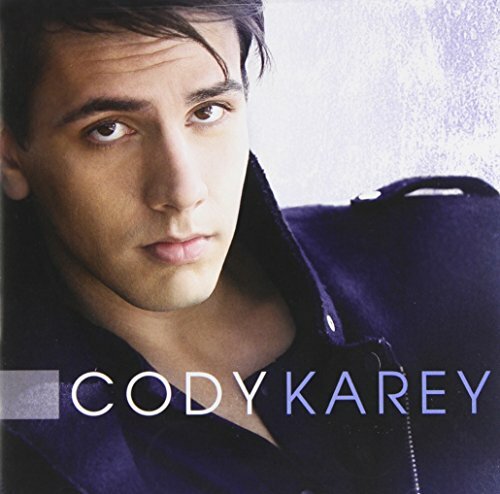 Check out your first listen of up-and-coming artist Cody Karey‘s debut self-titled album, exclusively on JustJared.com! The 21-year-old singer’s album will be available for purchase through his website, iTunes, and other outlets tomorrow (October 22), but you can listen to the entire thing right here first. Cody was discovered by hit producer David Foster, who is the man behind hit songs from Celine Dion, Whitney Houston, Josh Groban, and more. Click here to preview Cody’s new album via Just Jared! Cody Karey admits that where he grew up is “a very remote corner of the world.” Fort St. James in British Columbia, Canada was orginally established as a fur trading post and today still only has a population of about 5,000. But that’s a big part of what shaped Karey into the person, the artist and even the foodie that he is today. When he was four, his parents discovered that he had a voice and enrolled him in lessons—classical; it was the closest thing around. It wasn’t until he turned 11 that he truly fell for the format. In addition to Groban, connections are already being drawn to Michael Bublé. The three artists share early mentor affliations with industry mogul David Foster, too. Karey hardly minds finding himself in the same category as Groban and Bublé, though. “There are definitely less favorable artists to be compared to,” he says with a laugh. Karey might be continuing a tradition, but he still thinks there is plenty of territory left to be explored. Cody Karey talks with Access Hollywood Live’s Billy Bush and Kit Hoover about his new album and performs “You Are The Song.” Which superstar producer found him? Also, what does he think about the comparisons to Josh Groban?